Google's been at work on infiltrating the automotive industry for a long time. It's managed to wedge its foot firmly in the door with Android Auto, which runs on a wide range of in-market cars from popular brands — but that was never the ultimate goal. After all, Android Auto essentially just mirrors features from an Android device to car's infotainment system, it's not Android running on a car. The latter, more desirable implementation is (somewhat confusingly) called Android Automotive. The Mountain View tech giant showed off its ambitions for this platform at I/O 2018. Now, it's clear the hype was justified; Google has announced a partnership with massive carmaking alliance Renault-Nissan-Mitsubishi to run Android Automotive-powered infotainment systems in millions of cars beginning 2021. This is not only a massive step for Google — the alliance sold a combined 10.6 million vehicles globally last year, gaining it a top spot in the international auto market — it's also a big one for the car industry. Large car makers have been hesitant to hand the reigns over to tech companies when it comes to operating systems, fearing the loss of valuable data. But Kal Mos, the alliance's vice president of connected vehicles told the Wall Street Journal that Google had built trust in the last few years. 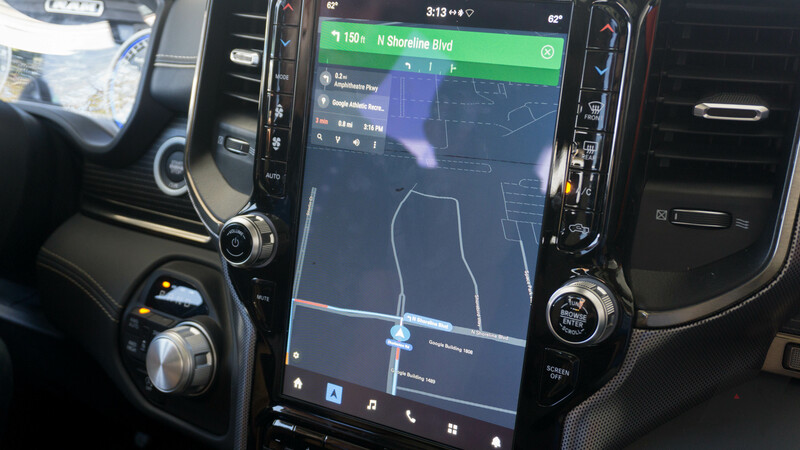 The move certainly makes sense from a consumer perspective, since the infotainment systems designed by auto companies are often far from popular with buyers. Google confirmed to Android Police that while the partnership is under the Android Automotive banner, the platform itself is the same Android as AOSP, which has been gaining auto features since Android Nougat. This means buyers can expect a system like the one shown off at I/O 2018 — internally, similar to the first-generation Pixel, and looks-wise a match with Tesla's in-car software. It'll depend on implementation, though, which means Volvo's native Android system might be another good reference. In terms of data, Google will have access to everything generated by its in-car apps after gaining permission from the user. Alliance executives noted to Bloomberg that diagnostic data, though, would travel through a "separate system." In any case, it's still a major win for Google, and one that will no doubt spur some competing car companies into opening their dashboards to Android, or perhaps an auto-optimized iOS, in the future.